As promised in some of my previous posts I will be chronicling my Social Media journey. 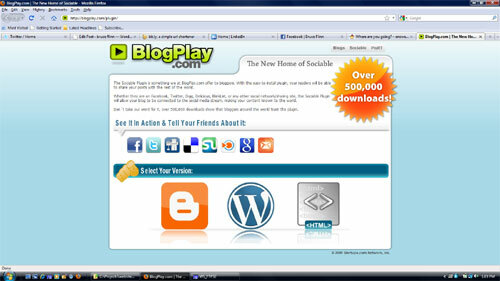 I just added the Sociable plugin for this hosted WordPress blog. Sociable allows you to add social bookmarking links to your posts. 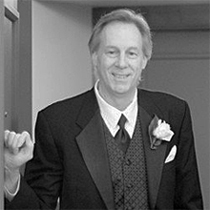 I have chosen to only add them to the bottom of my individual post pages and other pages on this blog. Example of where links are placed on posts. The install was rather straight forward. I clicked the option to Add New under the Plugins drop down list. The WordPress Plugins interface opened up and I chose to click the link across the top of the page entitled Popular. A list of plugins with their ratings were listed. I found the Sociable plugin and thought this would be a nice feature to add to my blog. After clicking on the Sociable item it opened up the sites web page where I selected the WordPress version. I followed the directions and downloaded the zip file to my local drive. I then unzipped the file and uploaded the new directory and it’s complete contents to my wp-content/plugins directory. Once all the files were on the web server I came back to my WordPress dashboard and opened the Installed interface under the Plugins section. There I saw the new item Sociable listed. The final step to getting things going was to go through the Setting for the new plugin. When setting this up you have the choice of which links you want to list by adding a check mark next to them – you can also drag and drop them into the order that you want them to be listed. The order is created by positioning them across the top row from left to right and moves down to the second row from left to right – so on and so on. I thought at first the order was created by putting them into the left column from top to bottom but I was wrong. The additional settings let you pick which pages you want the links on – I chose to be less invasive and only list them on the individual posts page and the other pages like my About and Privacy. If you have any questions please leave your comments below and I’ll do my best to answer them.